Rockin' around the Christmas tree is easier and cheaper this season with the advent of online music Web sites that encourage users to create free customized holiday music playlists. From the First Noel to the final strains of Auld Lang Syne, Web sites such as Pandora, Jango, and Grooveshark want to be the commercial-free soundtrack of your life as you deck the hallsor head home for the holidays. Stash the CDs, ditch downloading and avoid pesky carolers. Did you know it's possible to hook up your stereo or sound system to your computer? Joy to the world! Connecting your computer to the auxillary port on your stereo will stream the online sites loud enough to hear holiday music away in a manger (you'll need an RCA cable that has a headphone jack on one end and red and white connectors on the other, at RadioShack, $9.99). Whether you're dreaming of a white Christmasor up on a housetop waiting for Santa baby, it'll be easier to endure the 12 days of Christmas listening to holiday music that makes you the merriest. 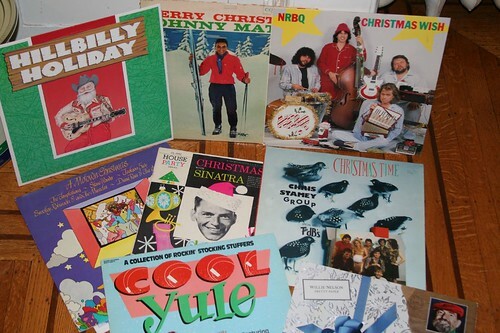 Pandora told WalletPop that some of its sites' most frequently requested holiday music playlists include Harry Connick Jr., the Trans-Siberian Orchestrea, Eartha Kitt, Nat King Cole, Bing Crosby; Vince Guaraldi, Arthur Fiedler & the Boston Pops Orchestra, Rockappella, Mariah Carey, the Benedictine Monks of Santo Domingo de Silos, and the Hereford Cathedral Choir. Each Web site offers VIP upgrades for paying members, but you'll still hear jingle bells loud and clear without forking over any doe-re-mi. At Pandora.com, click on, "Listen to holiday music" and the site will prompt a list of choices, including: Classical Christmas, Hanukkah Radio, Jazz Holidays, Folk Holidays, Motown Holidays, R&B/Pop Holiday, and Swingin' Christmas. Once a style has been selected, users can further customize listening by using the "add variety" button on their current "station" and typing in the name of a favorite artist or group. Pandora features an innovative "Genome Project" to create personalized digital DJs, while sites such as Jango play the music genre you indicate (choose from: Christmas Classics, Jango Bell Rock, All Christmas, R&B Merry, Merry Poppin, Christmas Country) as well as selections from other Jango users who share your taste in holiday music. Sort of like Amazon's, "If you like this, you'll like this," suggestions. Similarly, by typing "Christmas music" into the search field at Grooveshark you will be rewarded with non-stop holiday crooning. Voila! No more silent nights.